Welcome home! 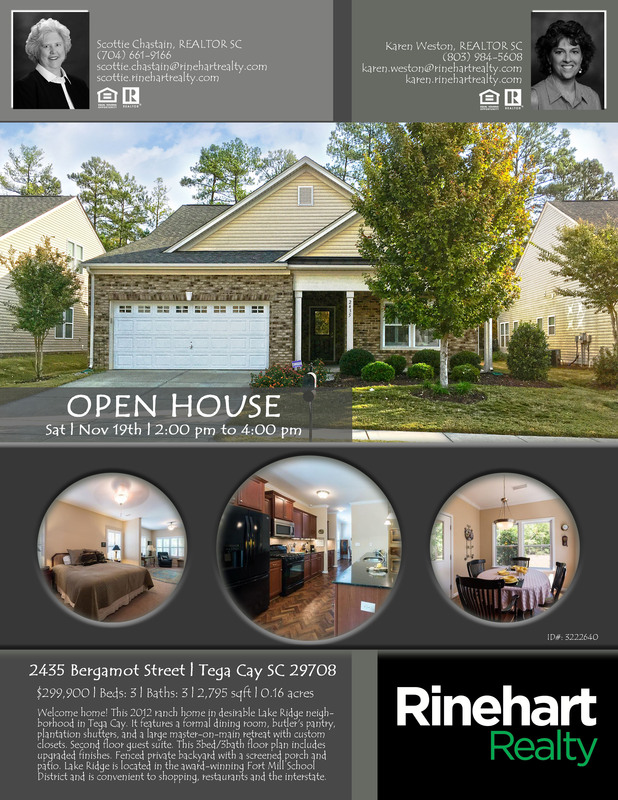 This 2012 ranch home in desirable Lake Ridge neighborhood in Tega Cay. It features a formal dining room, butler’s pantry, plantation shutters, and a large master-on-main retreat with custom closets. Second floor guest suite. This 3bed/3bath floor plan includes upgraded finishes. Fenced private backyard with a screened porch and patio. Lake Ridge is located in the award-winning Fort Mill School District and is convenient to shopping, restaurants and the interstate.